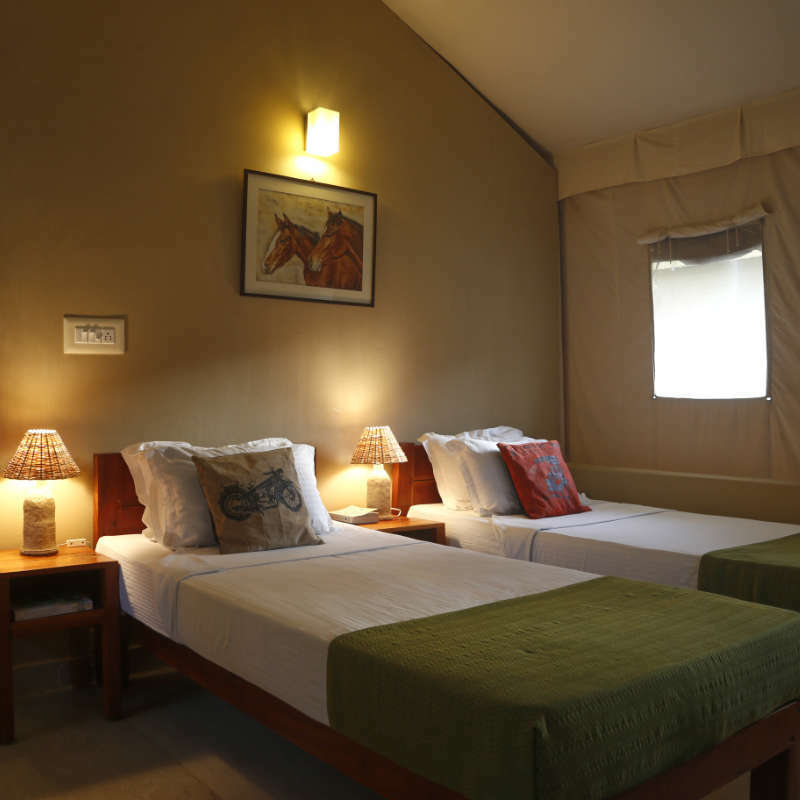 Banyan by the Ganges provides you luxury holidays akin to a Glamping experience. 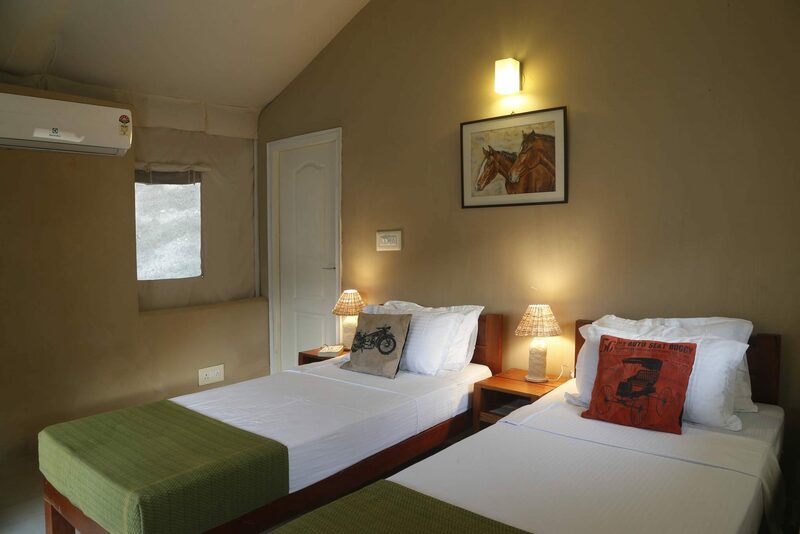 The resort has 12 luxury Swiss cottages, surrounded by lush greenery. The cottages at the far end offer seclusion and privacy. The ones closer to the common areas provide for a comfortable access. Each cottage is approximately 300 sq.ft. 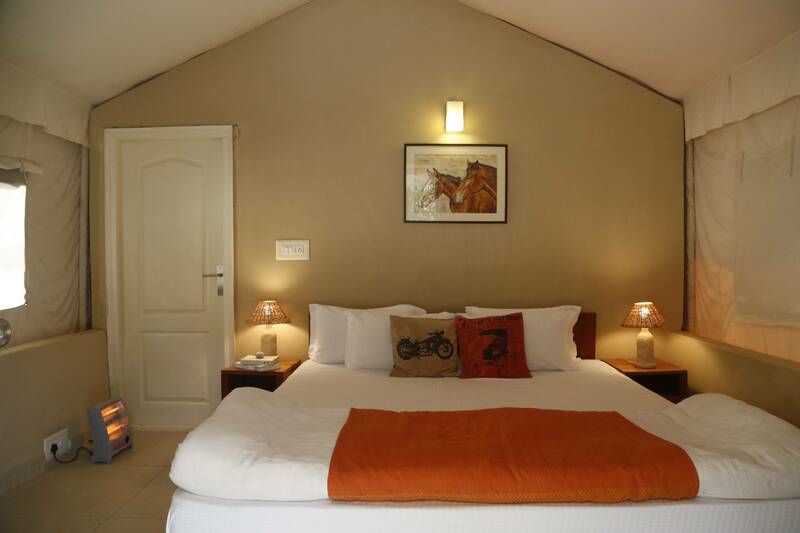 in area, with a spacious balcony and a large attached bathroom with all modern amenities. Your personal outdoor sit out is ideal for reading, meditating or simply breathing in the natural ambience. At the end of a long day, a comfortable rest is a must and our large king size beds encased in luxury linen with mattresses that you could sink into, provide for a relaxing good night’s sleep. As per the seasonal requirements, Room heaters and Air conditioners are at your service. Hot water bottles can be provided on request. There is also a convenient study table in every cottage. Our Chemical free toiletries have been selected with great care for your personal use. The soaps are handmade with crystal healing properties and the conditioning Shampoo is Herbal as well as gentle.